The mission of the Village Playhouse is simple – to provide a place for creativity and learning to our volunteers and the community we serve. Since our first production in 1978, we have been a place for those interested in theatre to come together and find new ways to express themselves. Our goal is to help our volunteers push the boundaries of what they thought was possible and to stimulate the community we serve with thought-provoking productions, both classic and new. However, over the years, the costs of productions and the venues in which they are performed have increased substantially. That is why we need to ask for your help. Your contribution will allow us to continue to provide the high-quality productions you have come to enjoy. 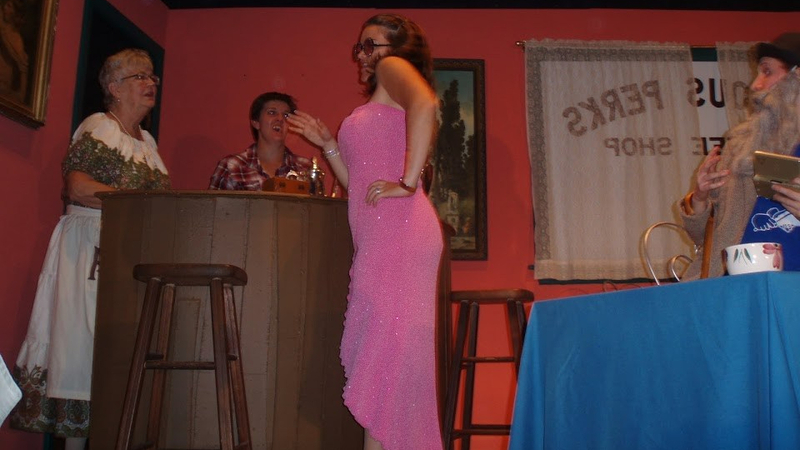 As an IRS 501 (c) (3) organization, all donations to the Village Playhouse are tax deductible. Just let us know and we can provide you with a donation receipt to give to your tax professional. Online contributions can be made via our Square page. Square is a secure credit card processing site which we use to process online and credit card donations and payments. Clicking Donate Now will take you to the Village Playhouse page on the Square website. For those who prefer to purchase tangible items to donate to the theatre, we have an Amazon Wish List. This includes big ticket items like a new tablet for running credit card sales or a new vacuum and dehumidifier to keep the space clean, to smaller day to day items like gaffers tape and paint brushes.